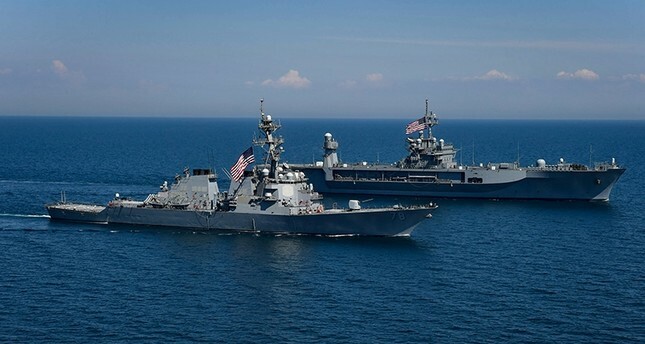 Oman said Sunday it had signed an agreement with the United States that would allow American ships and warplanes to take advantage of ports and airports, AFP reported. The state-run Oman News Agency said the "framework agreement" was aimed at bolstering "Omani-American military relations" in a report on its English-language website. "It will allow the US forces to take advantage from the facilities offered at some of the Sultanate's ports and airports during visits of the US military vessels and aircrafts, particularly in the port of Duqm," it said. Duqm port is located in southern Oman on the Arabian Sea and around 500 kilometres (310 miles) from the Strait of Hormuz. Iran has repeatedly threatened to block the strait due to tensions with Gulf nations, including its main regional rival Saudi Arabia. The narrow waterway is also an international transit route where American forces routinely pass and which has seen tense encounters between them and Iranian forces in the past. The United States has a number of military bases across the Gulf -- the largest in Qatar with about 10,000 troops.